Residential care is an important aspect of our care home. The Priory is a home where our residents’ wishes and needs come first – a real home where they can live with dignity and feel secure. Our qualified care team provide support and assistance for our residents 24 hours a day, each and every day of the year. 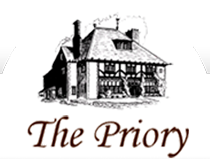 The Priory believes that residents should retain as much of their own personal choice, independence and mobility, as possible. As such, individual residential care plans are developed for each resident and regularly reviewed with themselves and their family. A close contact is maintained with area and regional healthcare professionals and medical care is undertaken by local GPs. This allows local residents to retain their own doctor where preferred (provided that a 24-hour service is available). In addition, facilities are provided for hairdressers, manicurists and chiropodists to visit the home and additional services such as optician or dental appointments can be arranged. We also have physiotherapy and yoga available. Maintaining an active and involved life is all part of living with us. A weekly schedule is published so that residents can plan in advance what they would like to take part in. The activities reflect the needs and abilities of the residents. Participation is purely voluntary and on occasions a one to one session can be arranged where a resident would prefer it. Help is on hand to assist residents who would like to keep in touch with local life. Residents’ families are encouraged to make suggestions for activities and participate in the social calendar. At the end of the day your room will be your own private haven – where you can do just what you like, whenever you want to. The Priory is an active family home, with lots to do, but if you want peace and quiet, the choice is yours.